I made this card for a dear friend of mine. 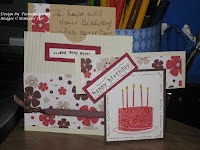 I believe I seen a tutorial on Dawns Stamping Thoughts. The designer paper is not SU!, however, all the other products are. 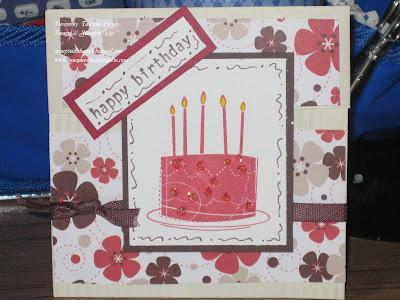 The card is made using an envelope and running it through the Crimper. Very cute and simple. I will have more new and exciting projects for you Monday. I have decided that I will no longer post on Sundays.